Create your own melody or compose a piece of music easier. Today, with the aid of a computer to realize his dream in life everyone can. Computer, software, manual-tutorial for the creation of melodies or pieces of music on a computer. Write your own composition on the recorder or a simple microphone for karaoke, connected to the computer. To create your own ringtone with the help of electronic programs such as Anvil Studio, it will take time, during which the tune can be forgotten or distorted. Pre-recorded will help to refresh the memory of the author. Select the menu "file" the new melody". After the appearance of a blank stave with one new track in "track select" create". For beginners it will be easier to opt for the usual instrumental version of the tune. Getting to direct the writing of music, pay attention music tunes. Select a rhythm section that will comply with the intended motive. Drum or percussion accompaniment will help with the definition of rhythm and size music. Specify the desired note, which will be next to the image of the piano keyboard. Accordingly, the length of the sound notes pick in the durations of the notes. To save the created ringtone – copyright midi file by choosing the menu "file" click "save tune as". 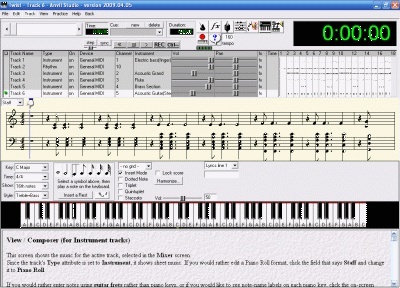 The following musical compositions using the software, the author can vary, process and write in a more detailed study of the user or using the assistant, is inherent in the program. Creating a ringtone or the work may vary from one hour and up to a year or even several years. It all depends on a number of factors: the author's ideas, the music project, the desired result. To end result instead of ringing it doesn't get the pun, mixing different styles and genres, you need to focus on creating one piece of music. Typically combining diverse ideas into one track does not lead to good results. Therefore, processing and remixing the resulting melodies better to do after. Humorous line of "no one to work in factories, some guitarists in the country", in fact, very far from the reality of musicians and songwriters, not so much. It is difficult to say why this is so – because of the opportunities for new authors today much more than ever. Start with remaking famous songs. This is the most simple and easy for beginners of the genre of poetry: you have to be ready melody, phrasing and mood of song. Very convenient to alter composition under certain events – performance of the KVN team, congratulations to the labor team with the eighth of March, or a lighthearted song in honor of the jubilee. After changing one or two of the texts you will feel much more confident. Start with rap or chanting. This genre is very accurately defined as "the desire to sing dominates the ability to sing" and it was partly deserved: the songwriting does not require you to complex harmonies and melodies – will only help to improve the ability to rhyme. In addition, because the melody is not so important, the instrumentals in this style is very versatile, and music forums you can find hundreds of design options for private composti. Learn a musical instrument. Of course, writing complex melodies require you to have at least some accompany myself. Classic and versatile option guitar, which is possible to learn just two months. If you want to stay in the genre of recitative or learn to write complete songs, use software such as Fruity Loops – they will help you to write tunes for any level of quality and complexity. 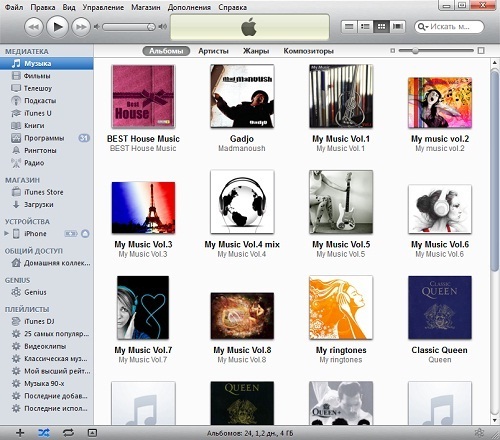 Listen to lots of music of different genres. All is already invented to us, so it's not wrong to carefully study the area in which you work. If you want to become an author of popular songs, then you need to know a priori the mass creativity of all performers, both in Russia and abroad. In addition, it will be useful to study other genres – you might find something to inspire you. 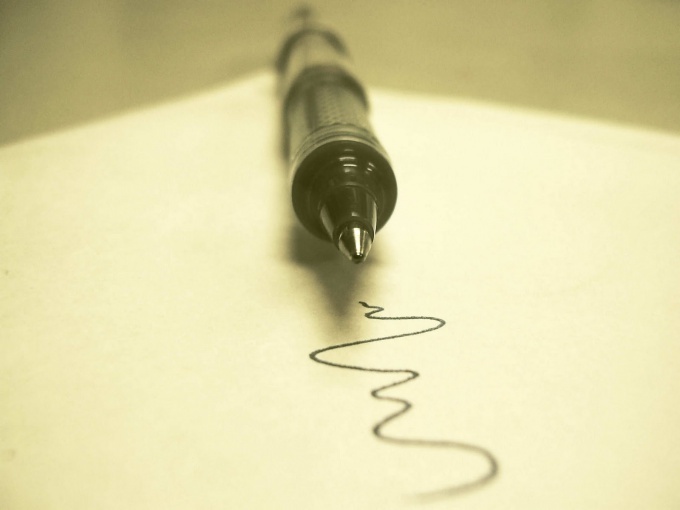 Don't try to write masterpieces exclusively. Looking at creativity from different artists, you may notice that not every song claims to be the "hit". Therefore, you do not try to put in every song everything you have on your mind. As very precisely said Victor Pelevin: "Sell the most valuable thing you need as late as possible and as expensive as possible, because then the trade will have nothing". The resulting show is not for everybody but only people whose opinion sure. Inappropriate praise can badly affect the quality of your future songs.